Urban Initiatives – Join Team Urban Initiatives at the 2017 Bank of America Chicago Marathon! Join Team Urban Initiatives at the 2017 Bank of America Chicago Marathon! Make the most of your experience by joining Team Urban Initiatives. 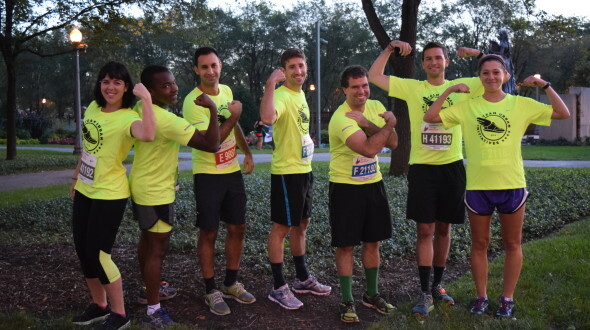 Team members will raise funds in support of Urban Initiatives’ programming and serve as positive role models for the children we work with by promoting the rewards of physical fitness, personal commitment, and hard work. Funds raised by Team Urban Initiatives will give children the chance to participate in our innovative sports-based youth development programs. For more information regarding Team Urban Initiatives, please email Jordan Lantz: jordan@urbaninitiatives.org. * Fundraising minimum is due by Monday Oct. 2, 2017. ** Free training with CARA is available for all runners who raise at least $1,000. Why train with CARA?